Designed with the idea that no two patients are alike, the SunTech® 247™ Diagnostic Station is the first clinical grade automated blood pressure device to offer a manual back-up mode. 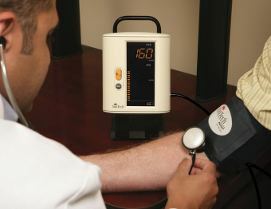 By combining the best of our 20 years of blood pressure research and technology with the capability to apply traditional methods of blood pressure measurement, the SunTech 247 provides the most reliable means of capturing blood pressure data. * The SunTech 247 is intended for patients ages 3 and up.